A woman takes in the view from the banks of the St. Vrain River in Lyons, CO September 18, 2013. Residents lives were upended when the tranquil river turned violent late the night of Sept. 11. 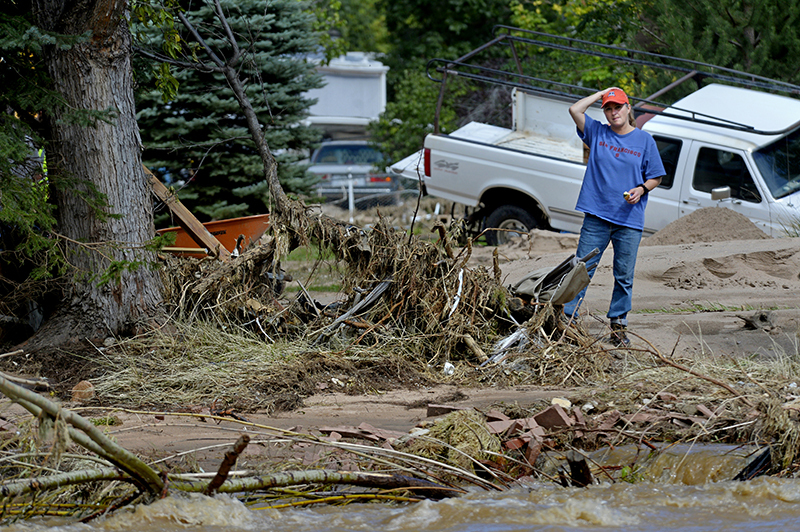 Lyons residents, even those whose houses were untouched, would not be able to return home for months until the city could restore utility lines, which were destroyed during the Flood of 2013.